A 7mm briolette drop Blue Topaz in sterling silver. 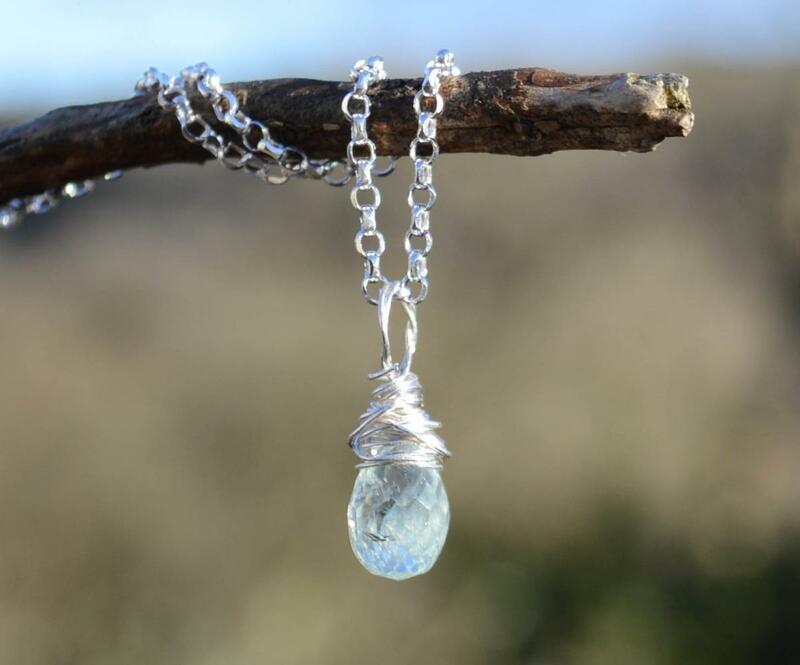 "Topaz is known as a "stone of true love and success in all endeavours”. It can promote individuality and creativity while providing for confidence in trusting one's decisions. It acts to replace negativity with joy and joyfulness.” Melody, Love is in the Earth.